The best reviews come from the horse’s mouth, the riders who’ve spent thousands of kilometers on a bike, drawing his or her own conclusions based on the experience. After 10,000 km (6,200 miles), it’s time I shared my two cents. KYMCO is a Taiwanese company, not Chinese or Korean. KYMCO has produced bikes for Honda in the past, and more recently, is the maker of the engine BMW used to launch its 450cc enduro. KYMCO is well known in Asian and European markets, particularly for their diverse line up of great scooters. The company makes ATVs as well. 2 Year warranties come standard! So what is the Venox? 63″ wheelbase, she’s wider, heavier, longer, and taller than any other 250cc cruiser we have here in Canada. The first thousand kilometers on my brand new KYMCO Venox were impressive. The bike looked, handled, and performed better than any other 250cc cruiser I’ve seen. There was no comparison between the 28 horsepower Venox and my old 18 horsepower Honda Rebel. The 8-valve liquid cooled DOHC twin carbureted motorcycle is definitely the little-known leader in its class. Any problems in the first 1,000 km? Admitted, there were two minor issues in the early going: One of my front fork seals began leaking. When it was determined that the seal needed to be replaced it was covered under warranty at Studio Cycle Group. Somewhere between 1,000 km to 3,000 km is where things picked up. Mileage jumped to a steady average of 60 MPG, more when I wasn’t riding the bike like a maniac. More importantly, performance increased as well. Unlike the other the other 250cc beginner cruisers that really need to be revved up for quick acceleration, the Venox can speed up well with a strong midrange. At 28 horsepower, the bike is about evenly matched with Kawasaki’s Ninja 250R and riders shouldn’t hesitate to go for a highway run. Completely stock and without windshield the Venox did an indicated 140 km/hr, or what my GPS said was 137 km/hr with more acceleration available. The bike has an obvious long rake to the front wheel. The 63-inch wheelbase, good suspension, and low center of gravity provide a bike so stable even new riders can take both hands off of the handlebar with confidence. The seat is wider, longer, and overall more comfortable than other bikes in its class. The tires (front: 120/80-17, rear: 150/80-15) add to the rider’s confidence and come handy around potholes, streetcar tracks and other hells of downtown Toronto riding. The seat height is slightly taller than the other 250cc cruisers on the market and the overall size and feel is one of a 600-650cc bike. 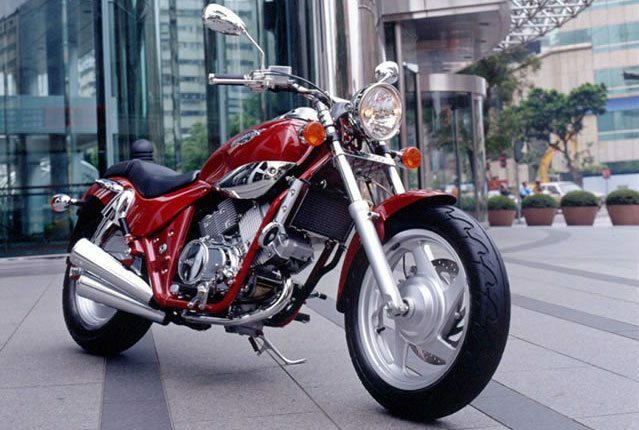 My girlfriend found the back seat of my Honda Rebel and similar bikes such as the Suzuki Marauder and the Yamaha V-Star 250, to be unsupportive and uncomfortable. The back seat of the KYMCO Venox is much wider and softer and my better half had no issues taking a 110 km ride from Toronto to Collingwood for the 2009 Ride for Sight. For the trip, the girlfriend and I piled the Venox up with our camping gear. Once rolling the motorcycle had no problems making power. When we arrived at the Ride For Sight there seemed to be no end to the people who came to stop, look, and ask questions about the Venox, which the Harley crowd referred to as “the little V-Rod”. There’ve been no surprises with maintenance and the bike is holding out well. All parts are easily accessible for service, and the fenders and other parts are easy to remove. I’ve installed a 12V lighter to power the GPS I have mounted to my handlebar. I’ve also installed a lightbar. The stock horn (a loud, chippy “meep meep”) was replaced by a decent 130 decible low-tone horn. Finally, I had my baffles modified slightly, the resulting noise the Venox produced was incredible. There is a bolt around where the exhaust pipes join. This bolt is visibly corroding. I’ve noticed this on other Venox models as well. You don’t notice it unless you’re on the floor looking upwards at the bike. Much like other 250cc cruisers, aftermarket accessories are difficult to come by. You can get saddlebags, a windshield, and tool kit fairly easily. Lightbars, engine guards and backrests can be had with a little searching. 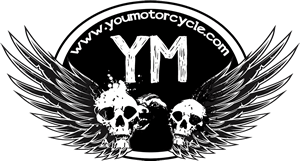 Take a look at the Honda Magna 250, sold in Australia, and the KYMCO Venox on this review of a 2003 model. For more information on BMW’s partnership with KYMCO, check out the links at the bottom of the page or click here. The KYMCO Venox saves me tremendously on insurance. At an average 60 MPG, I can get 350 km to the tank and save every time I fill up. For anyone who’s comfortable with simply cruising at 130 km/hr and under, this is all the bike you’ll need. It’s big, comfortable, handles very nicely, and the technology put into the bike into the bike give it great performance. Where to find KYMCO in Toronto? KYMCO Quannon 150cc sportbike review and comparison with Honda CBR-125R. PDF document with full specs from KYMCO Canada. I was just hoping if you can help me with some questions. I have been researching about venox 250 for a bit now and i am instantly hooked, the problem is that by now (end of 2016) i cant even find a single one of them around the GTA area. I was wondering if you know place to find these bikes and how much they would cost (new and used)? Also, how much you think it would to insure a venox for 22 years old male living in midtown Toronto? Hey Ahmed, you’re about a month or two too late. I saw one on Toronto Kijiji not long ago. Are you familiar with Google alerts? You may want to set one up. Have you seen a Venox in person before? I searched about google alert, honestly it is an amazing tip. i haven’t seen one in-person yet but i was contacted by studio cycle group, they have one in store right now. unfortunately though i am still researching if it possible to have a bike with the whooping costs of insurance, private parking, etc. I would love to test drive one of them just to get the feel of these bikes. btw, is costy to maintain this bike? Hi Ahmed, I found a second hand one here in South Africa. Debating on buying it.